Last week, 17 students with a learning disability from the College of North West London, in Wembley, took part in a lively Rock Enrol! workshop, where they discussed what they care about and learned how to make their voices heard in the General Election. The workshop was part of Mencap’s Me and My Vote project, which aims to help people with a learning disability register to vote and use their vote on what matters to them. 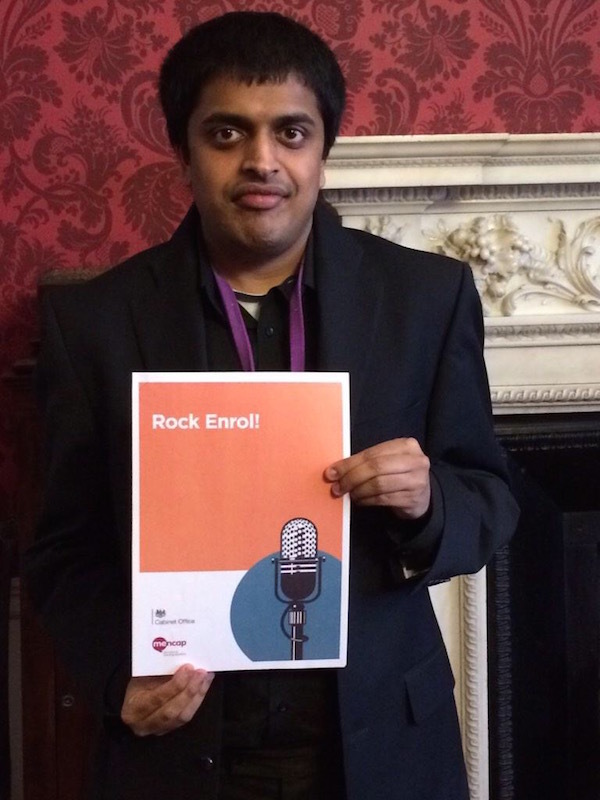 As part of the project, Mencap has adapted the government’s Rock Enrol! initiative – an interactive resource which aims to encourage all young people to register to vote – for young people with a learning disability. The Rock Enrol! workshop was run by Vijay Patel, a Mencap Ambassador for the Me and My Vote project who has a learning disability, and Laura Truswell, Me and My Vote project manager. The session was filled with lively debate. The group did a mock election and some students were stopped from voting in an effort to show how important being able to vote is. When they were asked how it felt to be excluded, they were frustrated that they couldn’t vote for the candidate who stood for what mattered to them the most. The group then discussed how they would spend the country’s money if they were in government. They talked about important areas like education, the police, healthcare, sport and welfare. The group were then challenged to balance the country’s books during an economic crisis and they experienced first-hand the hard choices governments have to make. “After the session I had a letter at home about the Election. Because of the session I knew what it was about”. “It was entertaining, I learnt how to vote. In my next lesson with my tutor he helped me to register so I can now vote”. “It helped me to learn about voting. I enjoyed doing the voting activity”. 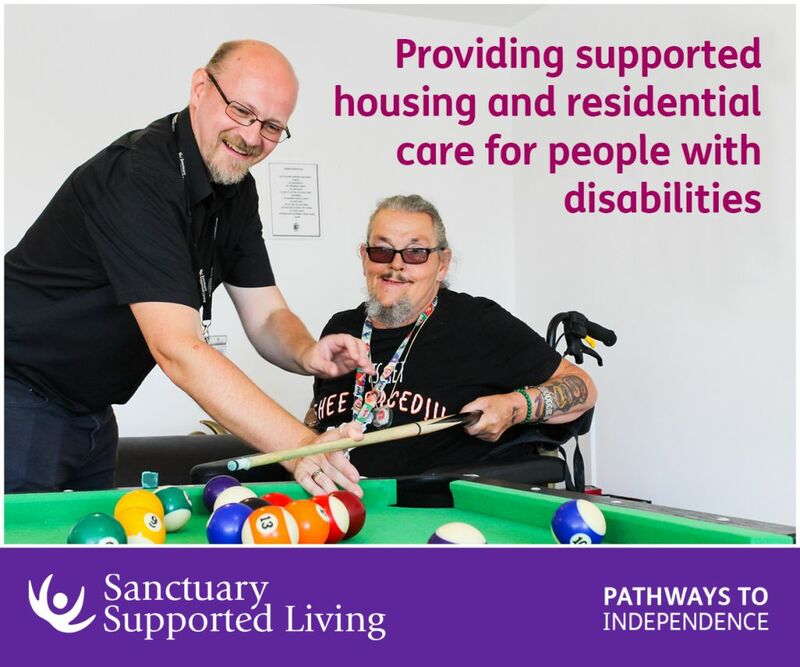 Research for Mencap’s general election campaign, Hear my voice, shows that a culture of inaccessible politics discouraged 2 in every 3 people with a learning disability from voting in local elections last May*. 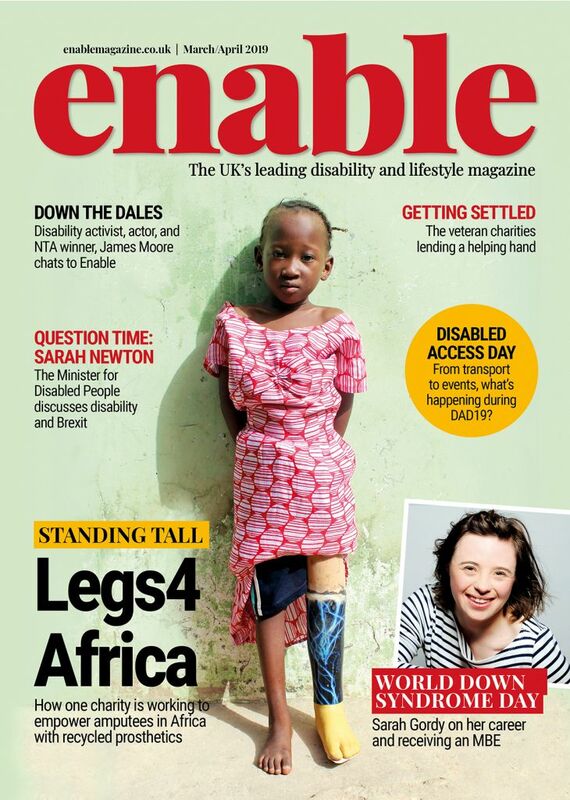 “Too many people with a learning disability don’t vote. Why? Because the voter registration process is too complicated, the language politicians use to talk about what they stand for is confusing, and some people are even wrongly turned away from the polling station on Election Day. Mencap, along with five other organisations, was awarded funding by the Cabinet Office to encourage voter registration amongst those who feel most distant from the political process. Through the Me and My Vote project, Mencap will aim to ensure people with a learning disability have their important voice heard in government. Be the first to comment on "One of the first voting workshops in the country for young people with a learning disability gets Wembley students’ voices heard ahead of General Election"